1 - 2 Bedrooms - Full list - Piggott Realty, Inc.
Click on any picture for more details! 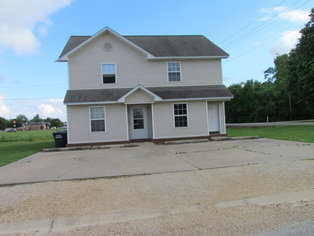 This is a wonderful 2/3 bedroom 2 bath home in a great location. Very quiet neighborhood, walking distance to down town. Excellent location - walking distance to school, church, park, pool, Fred's, Cox Lumber, Casey's & Sonic! Call to set appointment! Motivated Seller & Priced to Sell ! Click on photo for more details! JUST REDUCED TO $90,000 ! living room with open floor plan to dining area & kitchen with snack bar, Refrigerator, cookstove and microwave included; good size utility room; concrete patio with large back yard and a storage building. Click photo from more details and photos. JUST REDUCED TO $26,000 !